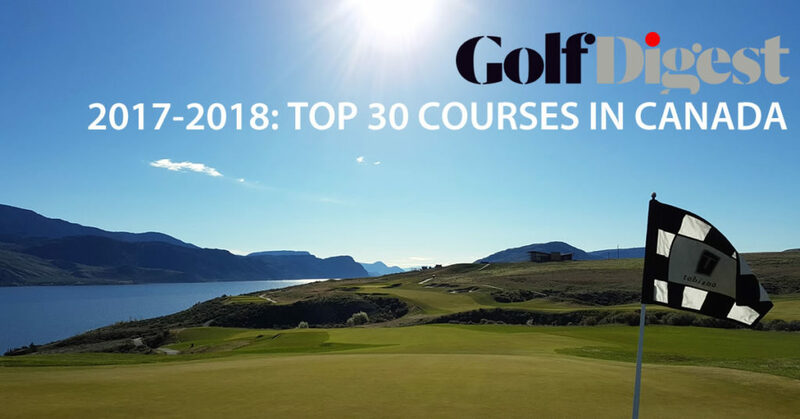 Golf Digest has just released their rankings for the 2017-18: Top 30 Courses in Canada and we are thrilled to have once again made it onto their list in the #26 spot. It’s a position which puts us in extremely good company. The courses on the Golf Digest Top 30 list have us dying to take a Canada-wide golfing trip ourselves! But don’t worry: with our own season off to a swinging start we intend on staying right here, teeing up awesome golf every day for as long as light allows play! Thanks to Golf Digest for the great ranking and to all of you who continue to show your appreciation for our course and the work we do to make it one of the very best golfing experiences in the country. See you on the tee!